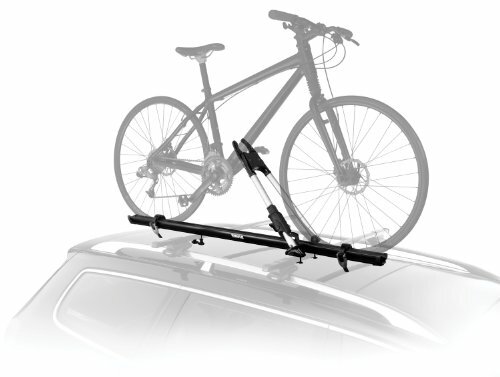 Roof mounted bike rack is one of the most versatile and secure but it will require having a base roof rack installed on the top of your vehicle. 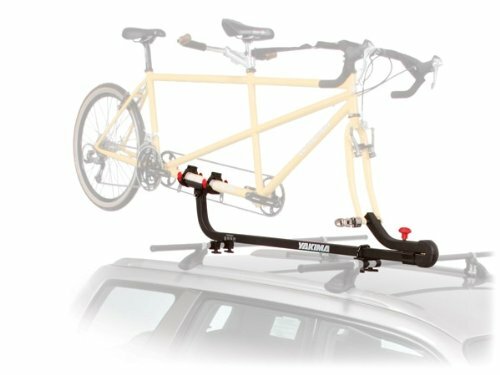 Rooftop bike racks allow you to easily transport one, two or more bikes, with or without the front wheel removed. Ideal for those who ride often, die-hard bikers or those who want to go on a weekend trip. 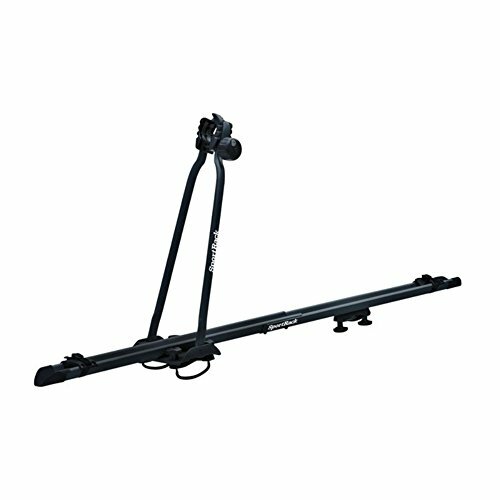 Comes in three styles: Fork-mount, Frame-mount, and Wheel-mount. 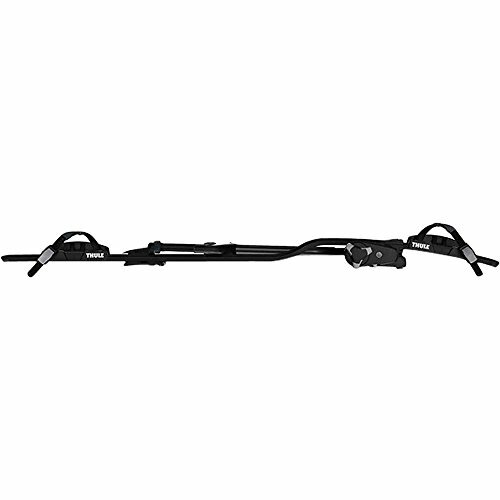 Note that you need a roof rack crossbar in order to mount a roof bike rack on your car. 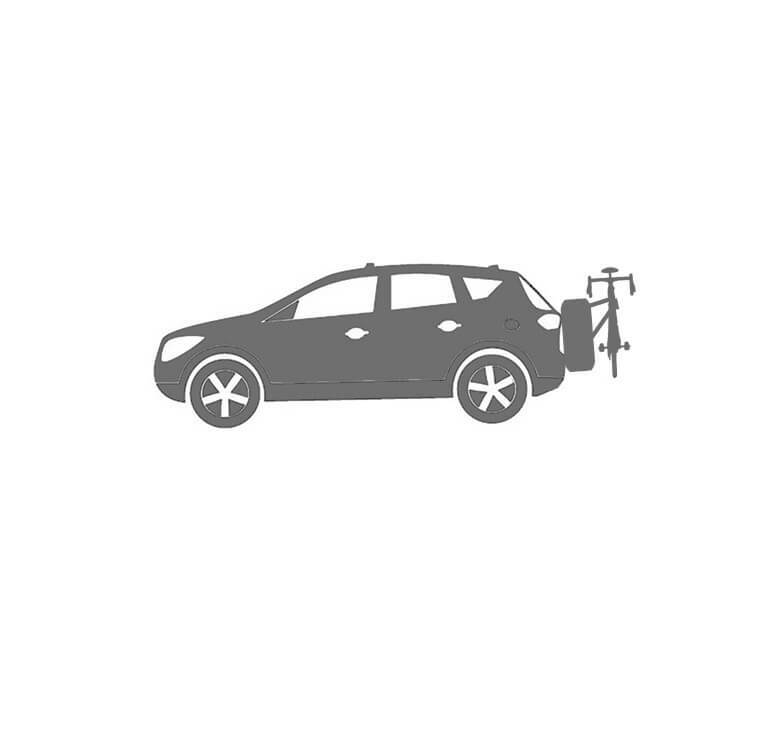 There are four different crossbar types that roof mount bike racks fit: square, factory, round and aero crossbars. Maximize access and gear transport with Yakima FrontLoader. 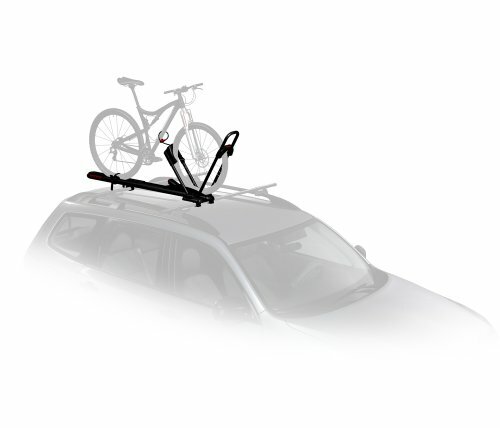 With this roof mount bike rack, no wheel removal is needed being one of the most versatile and aerodynamic bike carrier. It fits nearly any crossbar. 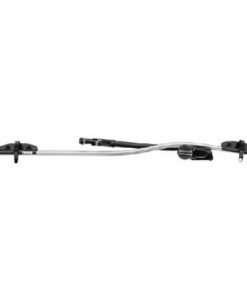 Get maximum frame protection with Thule Sidearm. 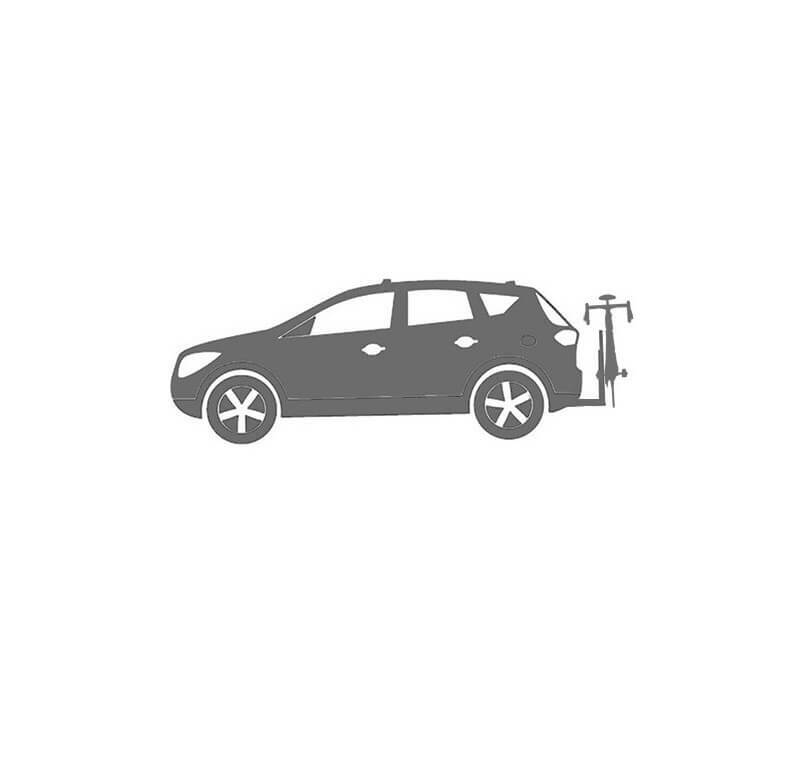 It will accommodate bikes with wheels between 20″ and 29″ with tires up to three inches in diameter. Your bike will be secured by removing its front wheel, increasing the stability and clearance. The sway will be minimal, having a slightly lower profile than other roof-mounted systems. 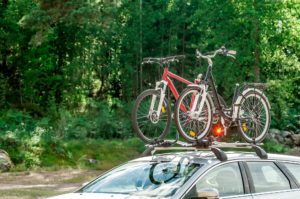 if you are concerned about the height or your SUV or car, then fork mount bike racks are a good choice. 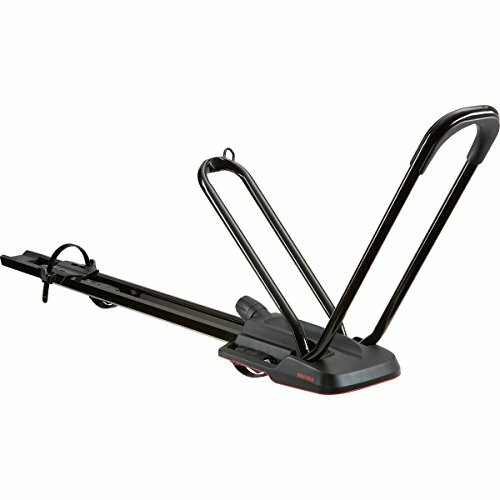 It is extremely easy to mount and remove bicycles and provides excellent stability and security. Just remove the front wheel from your bike, place the bicycle onto the carrier and secure it. A nice fit for high-end bikes with carbon fiber frames. 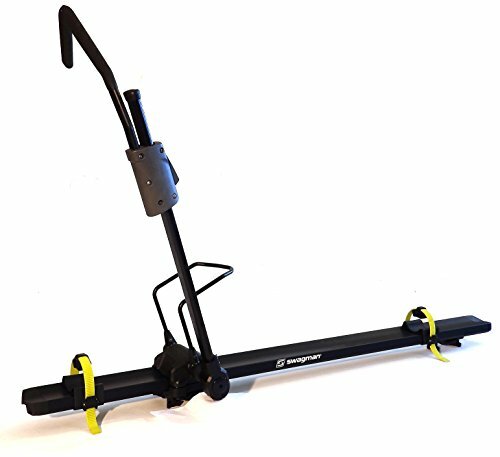 However, fork-mounted option won’t work with some bicycles like those with thru-axles or disc brakes, so you need to reorient to frame or wheel mount racks. 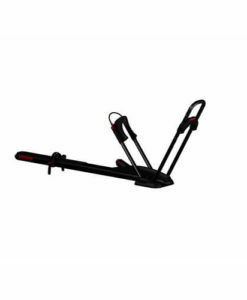 On frame-mount bike carriers, the bike is secured to its frame instead of its front wheel, so there is no need to remove the front wheel. Extremely easy to install, secure and remove. Just place the bike on the carrier and secure it. Nice fit for bikes with disk brakes, mountain, and downhill bikes. The bike is secured at its front wheel in order to avoid the contact with its frame and you don’t have to remove the bike’s wheel. Just place the bicycle on the carrier and secure it. Nice fit for carbon fiber bike frames, mountain and downhill bikes, and those with disk brakes. 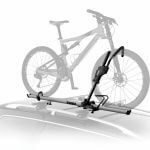 Shop the best roof bike rack for SUV systems from Yakima, Thule or CyclingDeal. How frequently and how far do you need to carry bikes? How many bikes will you be carrying? What types of bikes do you have? 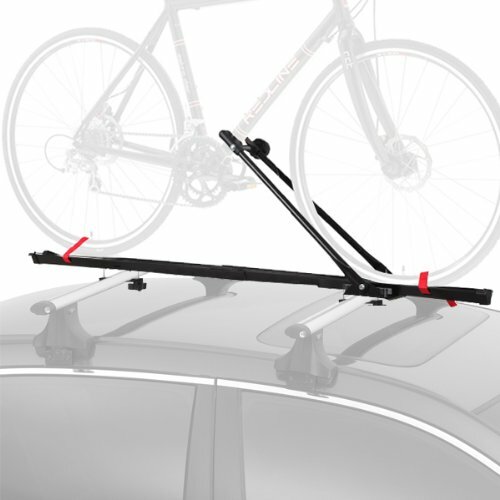 These are the first four questions you need to ask before deciding to buy a bicycle roof rack. 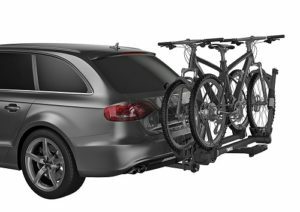 Roof bike carriers give you a full choice of different loading/unloading and mounting options, from fork mount bike racks (requires front wheel removal) to wheel mount or frame carriers (both wheels will stay on the bike). 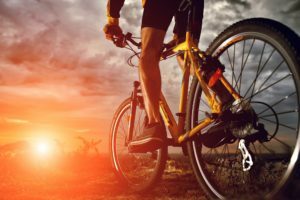 It is generally a very stable and secure system that can work with different configurations and number of bikes – you can carry your mountain bike with the front wheel on or off. Front wheel removal (the case of fork-mount carriers) keeps the bike lower which is great for SUVs as it gives some clearance. 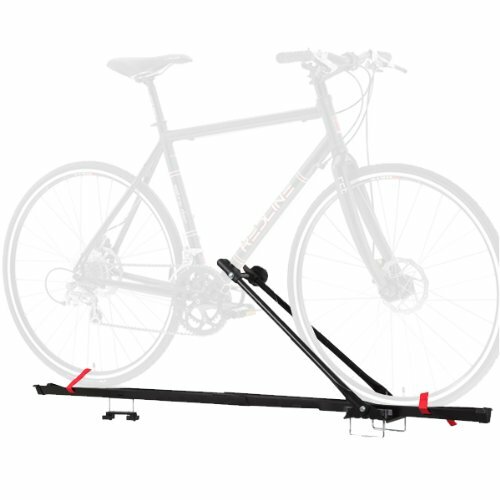 It is the classic way of hauling bicycles up top and can be lighter and easier to load. 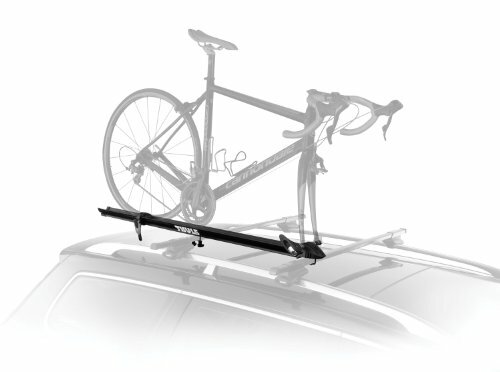 Roof mounted bike racks that keep both wheels on the bike are taller, can be less stable and cost more. Anyway, there will be a lock that will secure your bike to the rack. 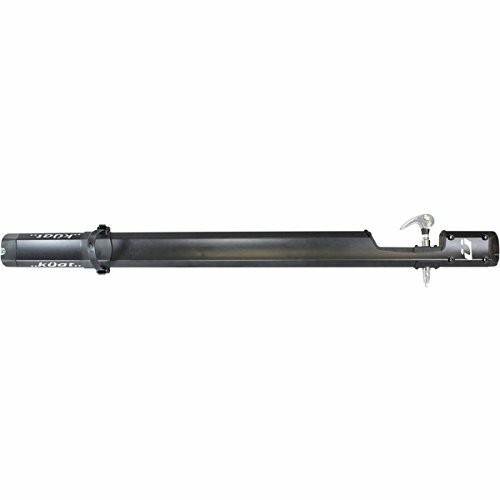 The rack needs to be locked to the bars and bars to your vehicle. If you don’t have bars, you can buy from here. Bars will let you carry not only bikes but also kayaks, cargo boxes, skis and more. 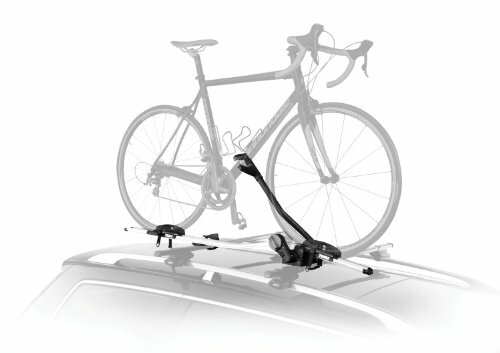 Remember that mounting your bicycle on the roof of your car will entail lifting it above your head. Also, it is common to forget that your bikes are on the roof so you need to always be aware of your clearance in case of bridges or garage. 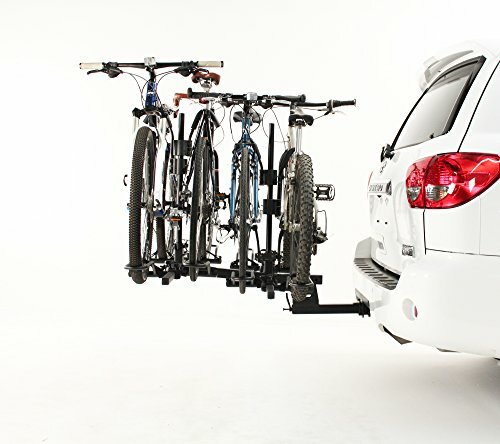 Most versatile, secure, multiple mounting options, no visual obstructions while driving, supports tandem frame bikes, accommodates boats, snowboards, skis, cargo boxes, access to trunk is not compromised, bikes do not sway. 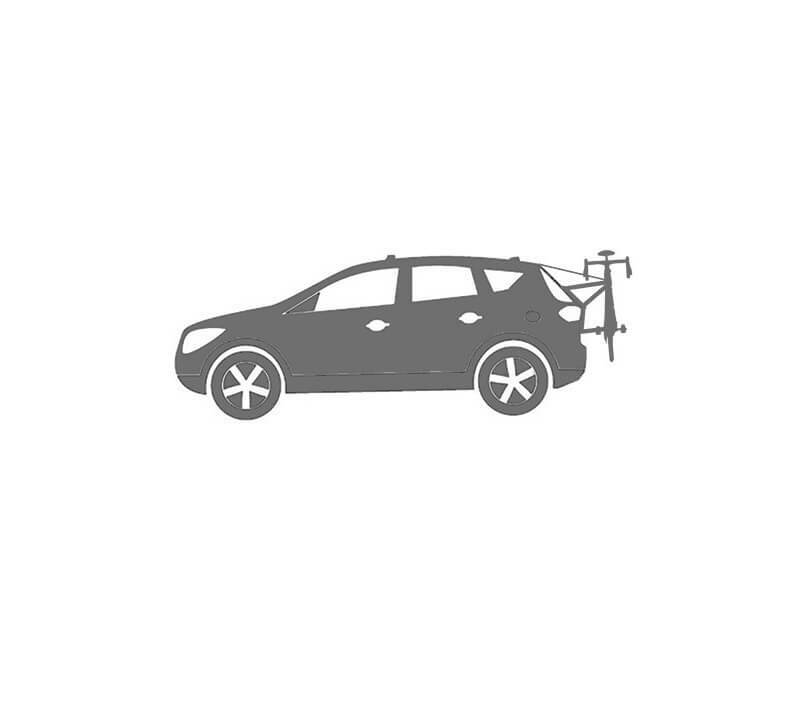 Requires to have a base roof rack, additional noise created, added height may cause problems with some spaces, added aero-drag so fuel consumption may increase. Frame, fork or wheel mounted carriers. 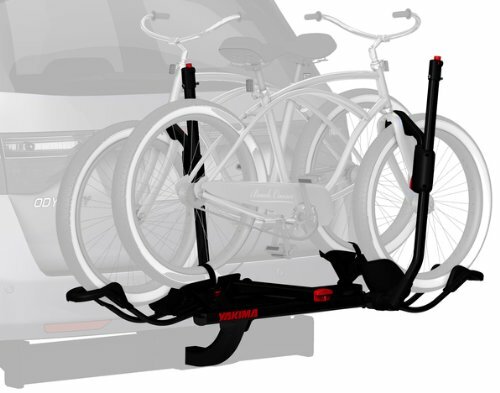 Smart designs for easy loading and unloading bikes. 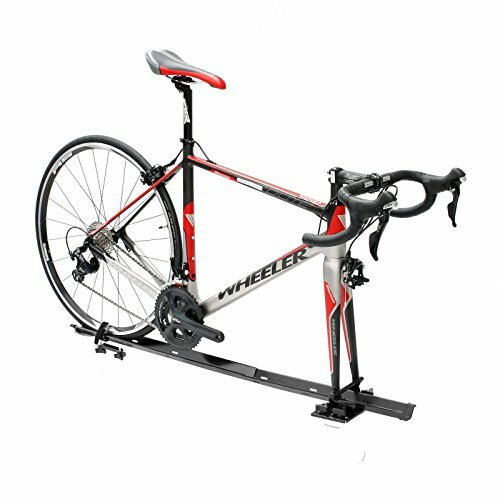 Your mountain or road bike will get where you are going safely, without any damage. Zero contact with the bike frame while accommodating through axles, disc brakes, and full suspension.